Do you miss the thrill of the game? At American Family Fitness, our sports courts will help you keep fun, fitness and energy at their peak. It's time to get back in the game. Wouldn’t it be awesome to keep playing your favorite games and sports? 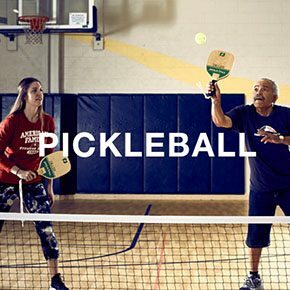 With basketball and pickleball at American Family Fitness in Glen Allen, you can! Maintain your health and fitness, enjoy the camaraderie of fellow athletes, and get your game on come rain or come shine. At our gym in Glen Allen, we are pleased to offer basketball and pickleball courts for our members to enjoy. 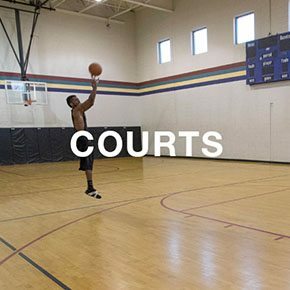 Regulation sized and carefully maintained, our courts are temperature-controlled and comfortable year round. 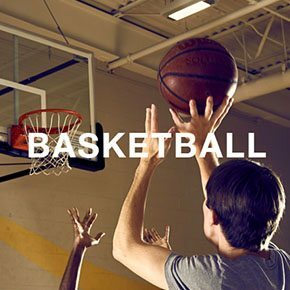 Tip-off your game on the basketball court at our health club in Glen Allen. Fire up your free throws and practice your lay-ups in your own personal challenge, or fast break into fitness in 5-on-5 regulated play. Pickleball can be a challenge to master! A combination of badminton, tennis and ping-pong, it’s a game that can be played as a single or as doubles. Stop by our Glen Allen gym to learn more.